There were 6 Big Sky games on Saturday and some very interesting results, so let's take a look at what happened in the Big Sky. - As mentioned, Weber State took down Southern Utah 84-66, as Damian Lillard, the nation's scoring leader, had 31 points to lead the way. The Wildcats are down two starters in forwards Kyle Bullinger and Frank Otis, but it had no affect for them in this game. - It has been a strange week for Northern Arizona, as Mike Adras either resigned or was forced to resign, it is very hard to say at this point, and was replaced by Dave Brown. Brown was the radio announcer for NAU who (according to Crawford's Court) just recently saw the team practice for the first time all season. Still, something helped, as they beat Cal State Bakersfield 80-67. The star was freshman James Douglas, who had 22 points and is certainly among the top 2 or 3 best looking freshmen in the Big Sky right now. Time will tell if this was a one game spark or whether they will be better off without Adras, but results were encouraging for one game. It was their first win over a Division I opponent, and after scoring 40 points in their last game, they doubled that. 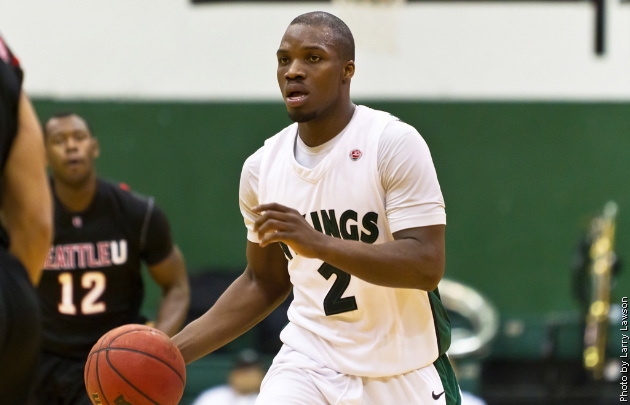 - Sacramento State took on Cal Maritime in a game that wasn't really even close, 66-38. Not a lot to be gleaned from this one -- Sacramento State should have dominated, and they did. John Dickson had 16 points, while Konnor Veteto had 14 points and 10 rebounds. - Portland State got transfer Renaldo Parker eligible (since the first semester is over), but it wasn't enough, as they fell 93-87 to Utah Valley. Offense certainly was not the problem in the game, and they got a bunch of stelllar performances on that side of the ball. The aforementioned Parker had 12 points and 8 rebounds in his first game (and he is a guy they were excited about), Chehales Tapscott had 17 and 12, Charles Odum had 24 points, and Nate Lozeau had 17 points. But like it has been the last couple years, defense was a major issue, as UVU shot 54% and was an incredible 33/35 from the foul line. The Vikings have the talent to compete for a Big Sky title, but not sure if they are deep enough or solid enough defensively to consistently play at that level. - In the final score of the day, Idaho State lost a tough one in overtime to Loyola Marymount, 80-72. This one is especially tough for a couple reasons. One, they lost an OT game to LMU earlier this year, so it would have been nice to exact some revenge. Two, they had this game in their grasp... ISU led by 10 with under 10 minutes to go, and had a 68-66 lead until one second remaining, when LMU hit 2 free throws to send it to OT. Kenny McGowen led the team with 21 points, while Chase Grabau also had his customary solid all-around game. Anything else I missed from this weekend in the Big Sky?